A couple of weeks ago, I made some individual sized custard tarts. But I had loads of pastry and filling left so I turned it into this patisserie style rhubarb and custard tart. I don’t think it would go down well in Paris (not finished well enough for a start) but I love the contrast of the silky egg interior and the tart juicy rhubarb on top. It looks so pretty with the regular rows of soft pink and green stems. One tip – measure and cut your rhubarb before it is cooked, otherwise it is too soft and will disintegrate to a mush when cut. You know it is Spring when you harvest your first crop of rhubarb from the garden. Rhubarb is technically a vegetable but is used most often as a fruit in cooking. Without a sweetener, rhubarb is bracingly sour. 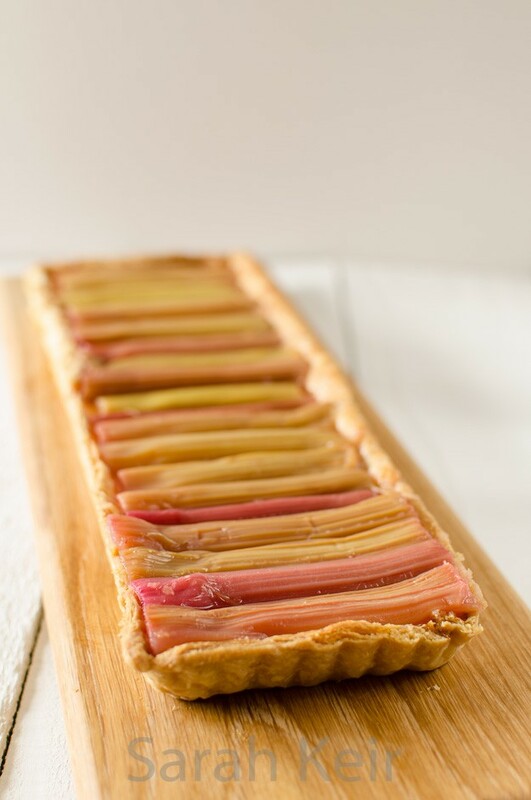 If you think about those unfolding leaves and growing stalks appearing after a long winter diet of meat and starch, rhubarb’s tartness could serve as a welcome tonic. But add some sugar and the fruit flavour is revealed in all its glory. 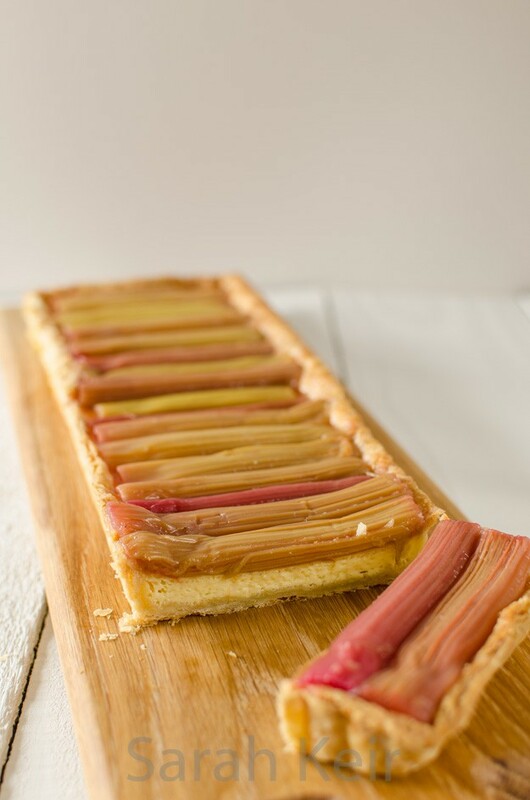 The flavour of rhubarb is complemented by many things; vanilla, nutmeg, orange, ginger. 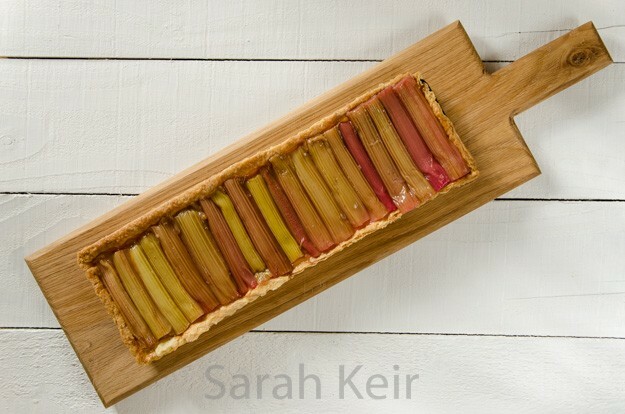 Clean the rhubarb and cut into lengths to fit on your tart, especially if making a rectangular tart like mine. Place the cut rhubarb into a shallow dish suitable for the oven. Sprinkle over the sugar and tightly seal with foil. Place in a preheated oven at 200 ºC/180 ºC fan for 20-25 minutes until the rhubarb is tender. Allow to cool completely before arranging on your tart. Serve immediately as the juice from the rhubarb will make the pastry soggy.